Loulou Rennet has lost her best friend (almost boyfriend) Nelson. Running through her thirteen year old mind is the question; has another girl ensnared him or is there something wrong? Her dead dog, Beelzebub, appears in a dream, trying to help her and she decides she must set out over the rugged lava fields of Lanzarote, leave her makeup behind and solve the mystery. Helped and hindered by her eccentric and bewildering family; Sid her disorientated grandfather, Isaac Billy her borderline bi-polar brother and her screamingly efficient mother, she tries to make sense of some odd clues and cope with the ghost of Beelzebub turning up in the most unexpected places. Along the way she meets Sophia, the hippy astrologer and pudding-lover who introduces her to some extremely different home recipes and tries to help Loulou with her special gift. Bathed in a tropical wind and covered in cake crumbs, Loulou tracks the criminals down to their hideaway on the side of the Fire Mountains. And just what has cake got to do with all of this? Loulou faces her first tangle with real danger and finds she has a taste for adventure which could take her around the world. Are you ready to join Loulou on her first, fast-paced adventure on a hot little island near Africa? 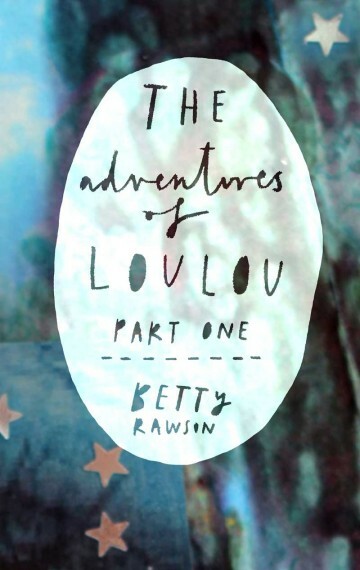 Be prepared to feel the heat in The Adventures of Loulou, Part One.